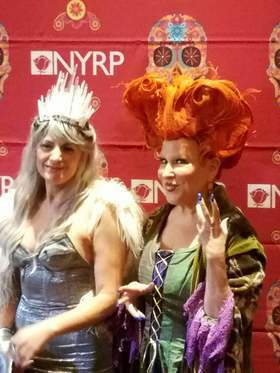 The Waldorf Astoria’s Grand Ballroom was taken over by celebrities dressed as witches, wizards and warlocks in honor of Bette Midler's Annual Hulaween Bash last week. 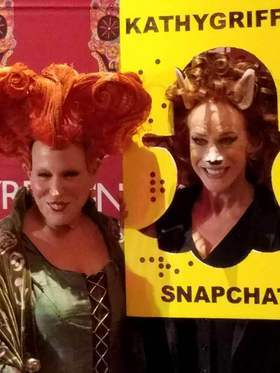 All the costumes were something to talk about, but no one could compare to Bette Milder dressing up as her icon role – Winifred Sanderson from Hocus Pocus. 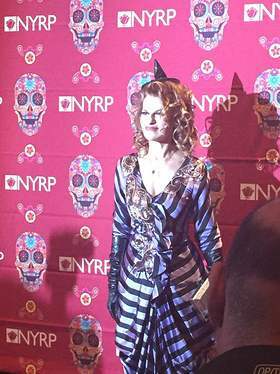 It was all the rage on Friday night, October 28th, but that was not the reason that Bette Milder and other stars dressed up and celebrated the night away. Aside from a costume contest judged by renown designer, Marc Jacobs, the stars came out to support Bette Midler’s New York Restoration Project. Bette Midler created this organization in 1995 after witnessing and being outraged that areas in Upper New York City such as Fort Tyron Park and Fort Washington Park were consumed with litter. She – along with a few friends – started cleaning up these areas, and that started New York Restoration Project. Since then they have accomplished creating numerous community gardens, restoring public parks and planting trees in all the boroughs, all making New York City green and beautiful. This year the New York Restoration Project celebrates their 20th anniversary. The event was hosted by comedian, Kathy Griffin, and featured a performance by Darlene Love. The room was transformed into a Halloween wonderland by Douglas Little. The event was the perfect way to celebrate all that New York Restoration Project has done for New York City.